Like many of us, I have a thing for kids shoes. So I was thrilled to be introduced to the super-cool Sydney-based ScruffyDog by my stylish friend Mellissa. 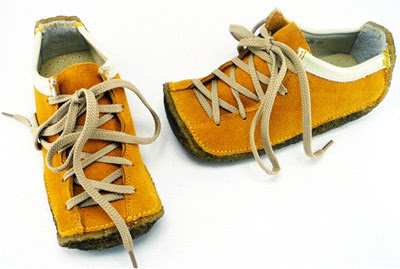 Handmade with leather and quality materials, ScruffyDog shoes for children are both fashionable and functional. I'll let the images above speak for themselves. 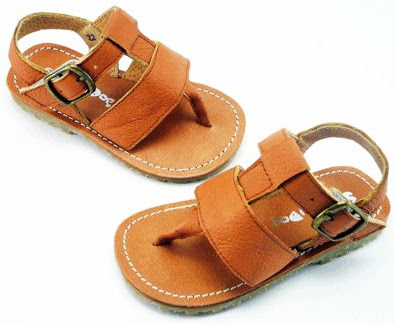 You can find ScruffyDog shoes at stockists across Australia and online. Now if only they came in Big Girl sizes! For more great Aussie kids' fashion, check out Bondville Kids: Australian Designer Baby Clothes. Shop online for kids fashion from great stores in the Australian Online Kids and Baby Store Directory. Aren't they gorgeous and so comfortable looking? 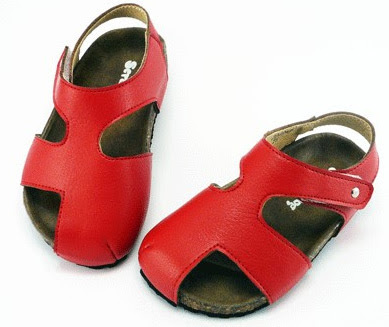 I particularly love the red ones - maybe it is the fact that they are velcro and I wouldn't have to be bending my large pregnant body down all the time to put them on and take them off! These are gorgeous! Thanks for another fantastic find Steph! awww! I can see my cute nephew in those mustard sneakers!! Why can't I find adult shoes like those?